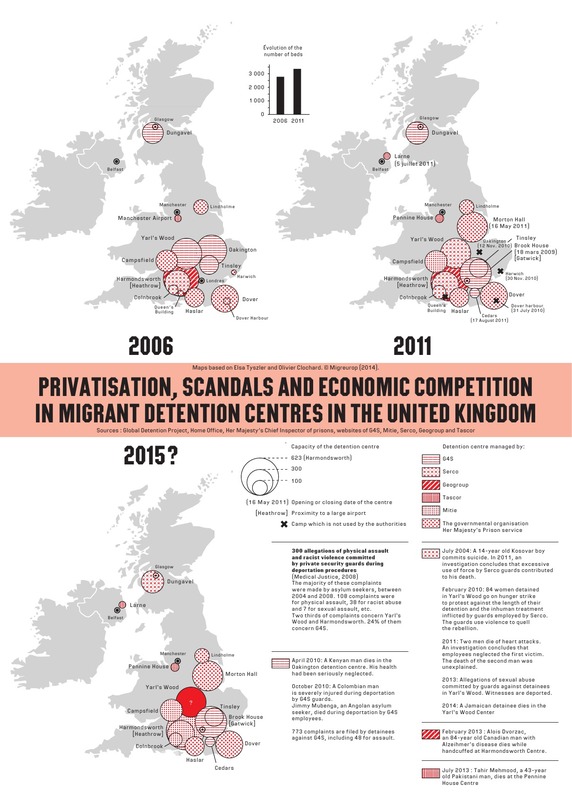 The management of migrant detention centres draws more and more the interest of private companies and multinational corporations. In the European Union (EU), privatization was pioneered by the United Kingdom where the State controls only part of the centres. The rest is entrusted to private companies, from construction and maintenance, to access to healthcare, accommodation social services and security. 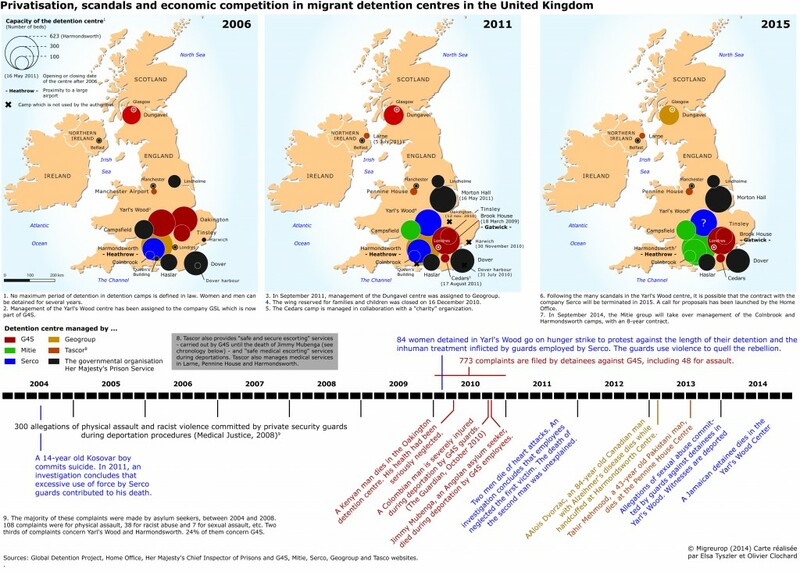 Under contracts with the UKBA agency, which is under the Home Office, the companies G4S and Serco each manage three centres and the GEO group, which is strongly implanted in the United States, manages one. 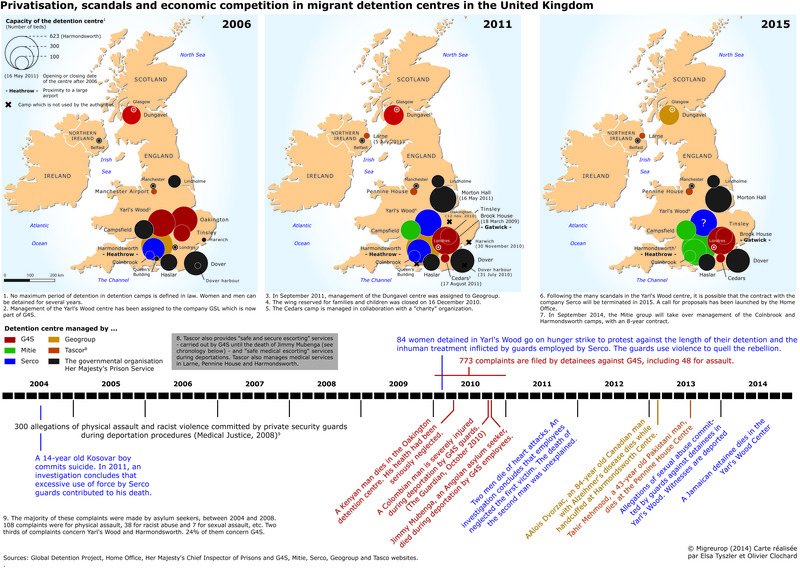 The map shows the evolution of capacity in the listed camps of United Kingdom, from 2006 to 2011. In addition it shows the progressive participation of private companies in camps management.